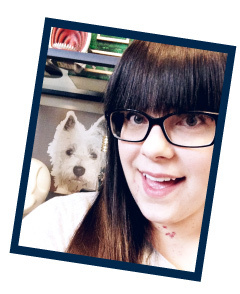 Many, many thanks go out to the wonderful Leah for featuring my man cave/den makeover on her blog, The Way We Are! Some people had left comments asking where I got some of the items in the room and I thought I'd do a quick rundown of everything for those who were wondering. 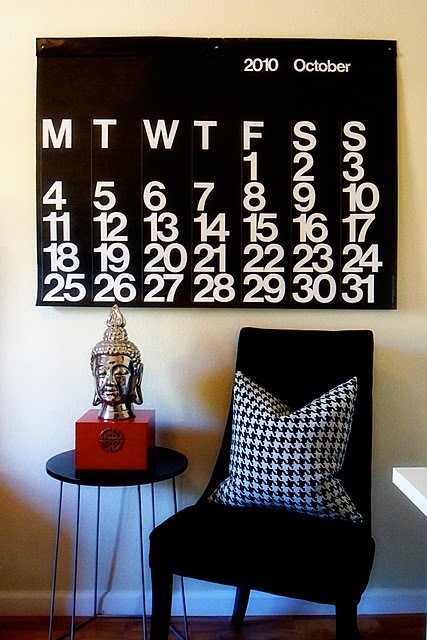 The wall calendar is the Stendig wall calendar which can be purchased from Unica Home or Crate and Barrel. The houndstooth pillows, the red box, and the buddha head are all HomeGoods finds. The accent/end tables were purchased at my local Target but are also available online here. Both black tufted chairs were T.J. Maxx finds from two years ago. 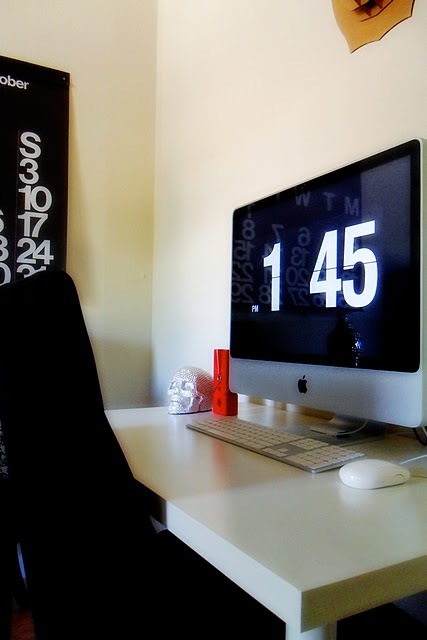 The clock screensaver on my iMac is a free download from 9031 which is available here (it's the first one). 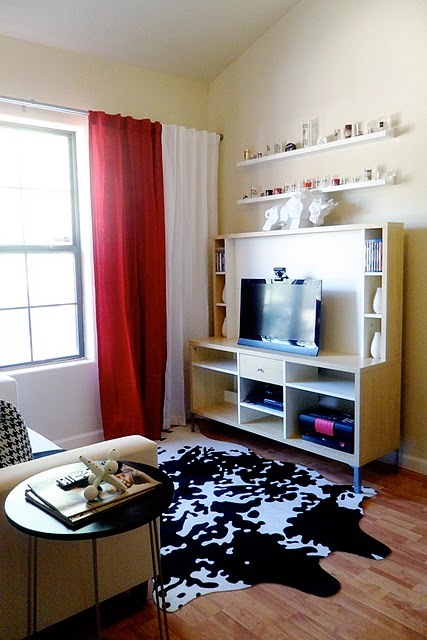 The faux cowhide rug can be found on Overstock.com here. The entertainment center (discontinued), sofa and shot glass shelves can all be found at IKEA. I love everything about this man cave. I found it via Leah. What a fun room to be in!